AMD's Gaming Evolved app now makes it even easier to capture and share your highlight gaming glories. Even the worst gamers enjoy fleeting moments of glory that just beg to be shared with the world. That’s where game capture software like ShadowPlay and Raptr-powered AMD’s Gaming Evolved come in. Now, it’s getting even easier to create your best clips using Gaming Evolved if you play games like League of Legends or Counter-Strike: Global Offensive. AMD Gaming Evolved can now create automatic highlight bookmarks in those games by automatically identifying key in-game moments such as deaths, kills, bomb plants, and killstreaks. That means no editing is necessary to get your highlights up on sites like Reddit, Facebook, and Plays.TV. 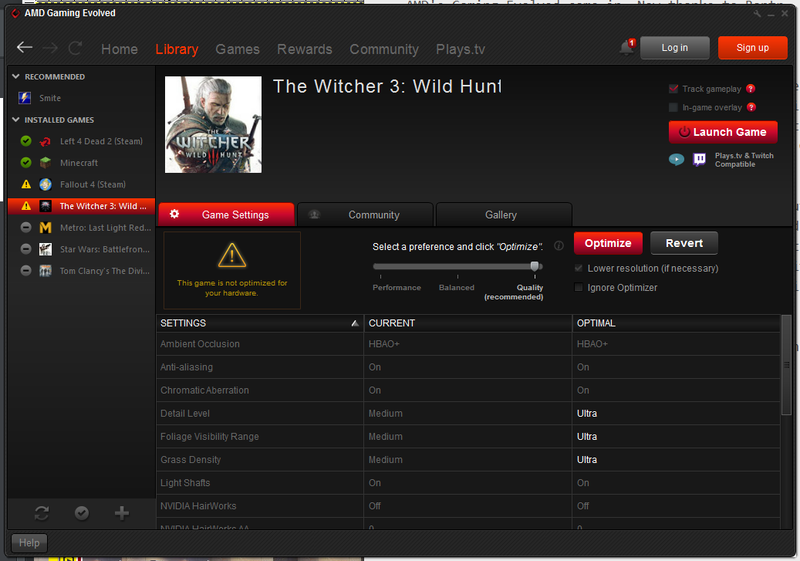 The Raptr client, which AMD uses rebranded and reskinned as Gaming Evolved, added these features earlier in March. The new version of Gaming Evolved is available on AMD’s site. AMD Gaming Evolved in library view. Why this matters: The mega-popular League of Legends and Counter-Strike: GO are just the first titles set to receive automated highight bookmarking, as Raptr says more games are on the way. It’s not clear what those games will be, but AMD and Raptr are tying into the growing popularity of sharing your gameplay online. Whether it’s a live Twitch stream or an upload to YouTube, there are always memorable moments that happen in a game, such as epic battles, amusing bugs, or whatever the heck this is. Gaming Evolved automatically starts recording your gaming sessions by default. That takes care of the game capture, but with the exception of the two games mentioned above it’s up to you to create your own highlights, either after your gaming session or by using a keyboard shortcut to manually flag a highlight. Plays.TV clip creation is incredibly easy to use. 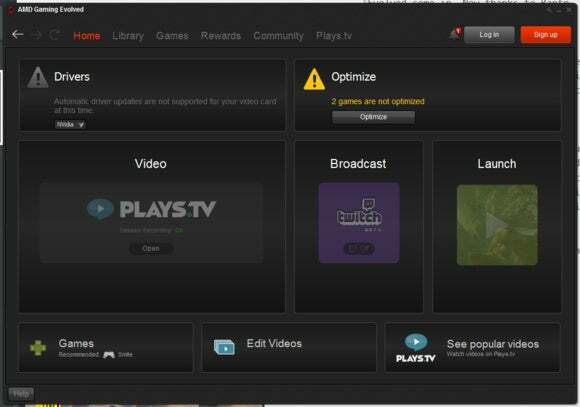 AMD Gaming Evolved uses the Plays.TV recording client—another service owned by Raptr—for video game capture. 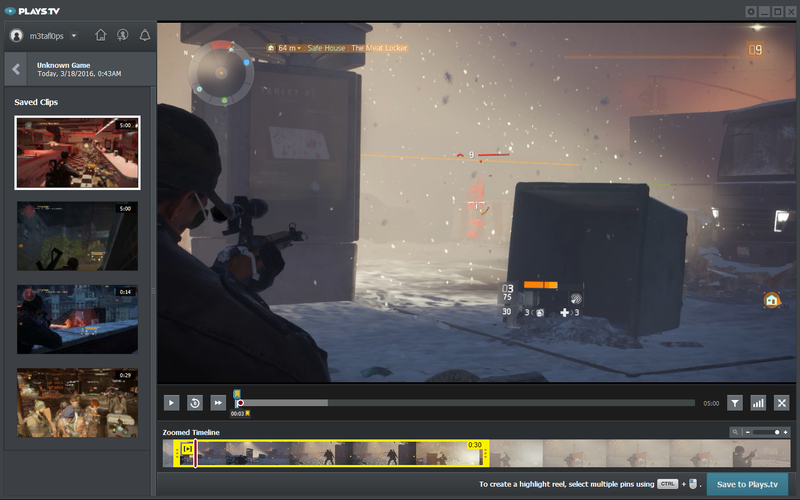 As I said in our recent look at game capture software suites, Plays.TV is incredibly easy to use for editing and uploading 30-second clips, and offers minimal performance impact while recording. Click the Edit Videos button in AMD Gaming Evolved to open the Plays.TV client. Here you can use the service’s simple editing tools to upload your highlights directly to Plays.TV with a few clicks.